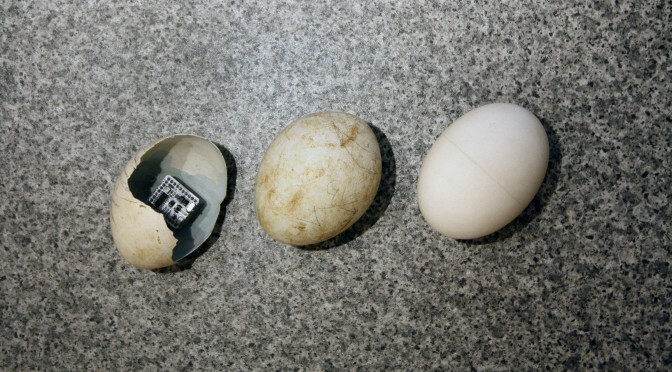 A company called MicroDuino recently began designing “smart” eggs — fake eggs that scientists from the International Centre for Birds of Prey (ICBP) have begun planting in real life vulture nests. Why would anyone want to do such a thing, you may ask? Well, as it turns out, vultures are some of the most threatened birds — and EggDuino, as the faux egg is called, is meant to help conservationists at ICBP provide better care to captive-bred birds. While the vultures at ICBP will not be released into the wild, the purpose of raising them at the center is to provide research and best practices to other centers that do raise birds for release. In short, much as a smart thermostat uses data to learn your energy-use habits and adjusts temperatures based on your preferences, this smart egg is learning just how vulture embryos like their homes to be — before they’ve hatched. Kinda neat, huh? Did this post get you thinking about smart thermostats? Check out our post on smart thermostats for more information — including alternatives to the Nest. And if you’d like to learn more about birds and birdwatching opportunities in Illinois, check out the Illinois Audubon Society.